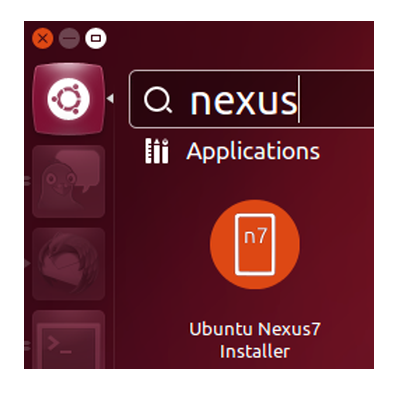 Ubuntu released the Ubuntu Nexus 7 Desktop Installer, a one-click process for installing Ubuntu 12.10 onto the Nexus 7. While it is only a developer preview and not a final release, it has been reported that the process works really well and is relatively stable. We strongly advice you to take backup of all your internal data such as Call Logs, Contacts, SMS, MMS, Apps, APNs Settings, etc. with the help of backup applications. Just in case, if you lost your data due to any reason you could easily recover them with the help of backup applications. We also advice you to charge your device battery fully in order to apply the update. Minimum 80% is recommended from our side. If you do not consider this there is a chance of your device getting switched off during the middle of the process. Next disable all the antivirus suites in your computer as well as mobile so that update process may not get interrupted. Just confirmed whether you have followed all the above mentioned instructions properly. 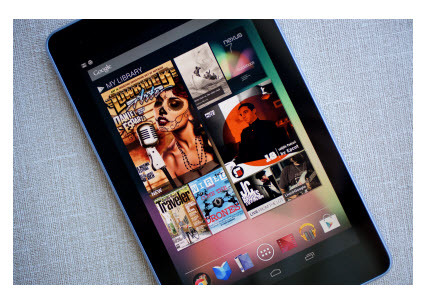 In order to flash different images to the Nexus 7, you need to unlock your device first. 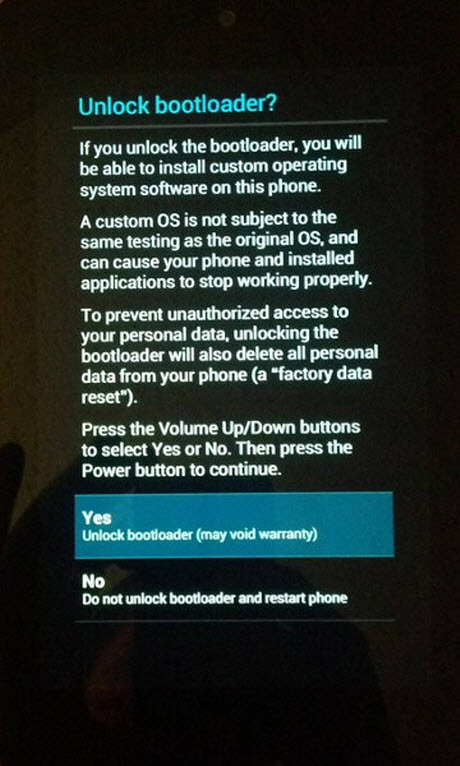 Please make a note that unlocking the bootloader erases all data; and resets the device to factory defaults. Follow the simple tutorial which we have given below to unlock the device. 1. First, reboot the android device into the android boot loader. To do this, first power down the device in the normal fashion (hold down the power button, then select power off and wait a few seconds). From the off state, hold the volume down button and press the power button. Continue to hold the volume down button and power buttons until you see the boot loader UI. 2. After that plug the device into the laptop by using Micro-USB cable. The device now displays the boot loader GUI. (or) simply press the power button. When the device reboots back into the bootloader (fastboot mode), you should see “LOCK STATE – UNLOCKED” in small red print. At this point your device is now unlocked. So, once you have done all the setup, you can now start the installation process. To install first, you need to ensure whether the Nexus 7 is in fastboot mode after that plug it into the computer and make sure no other devices are plugged in. This will provide a Graphical interface for installing Ubuntu. This tool will download the latest image automatically, and flash it accordingly. The flashing step should take about 2 minutes. Once the flashing is complete, the device will reboot and finish the installation. This step will take 10-15 minutes. That’s it you’ve done. Congrats!